Not going to a conference is a big mistake, huge one. And not because you get to travel to some new places and get away from work for some time. Nor that you can get some new and exciting memories. Going to conferences makes you a better person, both professionally and privately. How’s that, you might ask. Well, let me tell you this about the first day of #SparkMe conference. Just by being here, for the second time in a row, made me realize (more) of my own potential. Being among such inspirational people, speakers, organizers, attendees made me see the wider picture and inspired me to reach out and show more of who I am. Talking to people, interacting and connecting with them on the spot and through social improved the reach of the conference but also helped me in portraying who I am as a marketing professional. Showed people more of who I am and how I do what I do. And that is something you can put as one of the instant benefits of attending the conference. Recognition and re-empowering of your own worth. Then, there’s value in connecting and networking from significant people from the industry. And not to forget about all the opportunities that may come afterwards. In new knowledge, business deals and improving your own skills. Priceless. And, if in any case, you didn’t get the chance to come here in person – follow me on Twitter and Instagram, where I share all the bits and pieces from the entire lineup of some of the most inspiring speakers I’ve ever heard! Mark Schaefer, Jon Burkhart, Xenia Tchoumi, Neil Harbisson, Moon Ribas, Kerry O’Shea Gorgone and Mike Massimino – thank you for giving us outstanding talks and for being such great inspiration. 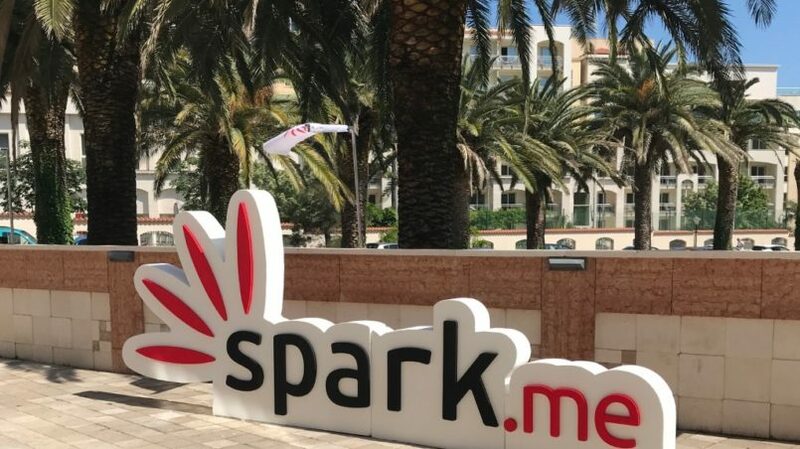 Stay tuned for more, I’ll be writing summary of the whole #SparkMe conference in the coming days.